The contractors at 31-W Insulation are some of the best to be found in Tampa, Florida, and throughout the southeastern U.S. We have been serving homeowners since 1972, meaning our installers are able to draw on the experiences and refined processes of decades of superior workmanship. And, because we are dedicated to ensuring the best customer experience possible, we only use our own employees on each project – not subcontractors – so you can be sure that our insulation contractors will uphold our high standards when working on your home. In fact, we hold an A+ rating with the Better Business Bureau as a testament to our values of excellence in workmanship and customer service. 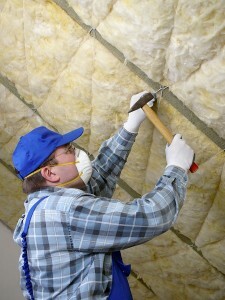 When you trust our insulation contractors to take care of your home in the Tampa area of Florida, you’ll enjoy a number of benefits due to the combination of expert installation and premium products. The significant reduction of heat transfer will allow your HVAC system to keep a consistent temperature throughout your house more easily, which, in addition to making your home more comfortable, can also reduce your electricity bill. Improved insulation can also help block outside noise from infiltrating your home, and the replacement of old material that may be rotten, or moldy can help prevent health problems. To learn more about our services or to schedule an appointment with our insulation contractors for a free estimate in your Tampa, FL, home, contact 31-W Insulation today.